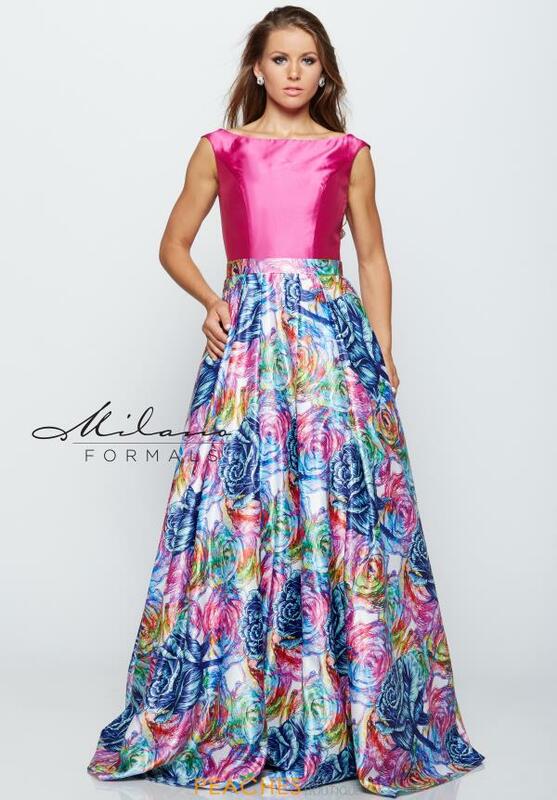 Absolutely fabulous Milano Formals prom dress E2162 features a fuchsia bodice with dainty cap sleeves and a floral printed A-line skirt with pockets. You will definitely turn heads in this number when you walk in, add some sparkle with iridescent earrings and a matching bracelet. 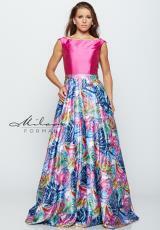 Visit Peaches Boutique today for your perfect prom dress.